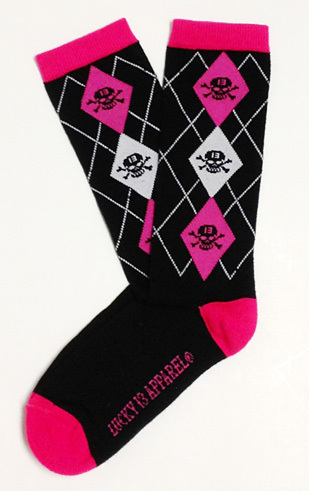 These rockin' argyle knee-high socks feature a row of argyle diamonds with black skulls 'n crossbones, and "Lucky 13 Apparel" on the sole! One size. 85% Acrylic/5% Poly/1% Rubber/9% Spandex.